Last summer Curtis and I headed off to Durango, Colorado for our anniversary trip. On the way to Durango after staying the night in a KOA in Santa Fe, we stopped to see the gorgeous red rock formations just outside of Carson National Forest. I hadn't ever driven west before, and the landscape out there is unlike anything I've ever seen before. It just feels so.. American. I've been itching to head back out to the desert again. Maybe next year! On the way back from Durango, we left fairly early in the morning so we could have an afternoon in Santa Fe exploring the churches and downtown area. When we went through originally, we tried to get dinner at Cafe Pasqual's, but didn't quite realize how popular it was.. so we made reservations for lunch. I had enchiladas, which were a bit different than the ones I'm used to having here in Texas. It was interesting to see the different take on Spanish culture in New Mexico! We then headed over to the Cathedral Basilica of St. Francis of Assisi, which was built between 1869 and 1886. I loved the Romanesque Revival style of the church, which contrasted with the typical adobe style of Santa Fe. Stepping inside and seeing the columns and archways was absolutely breathtaking. 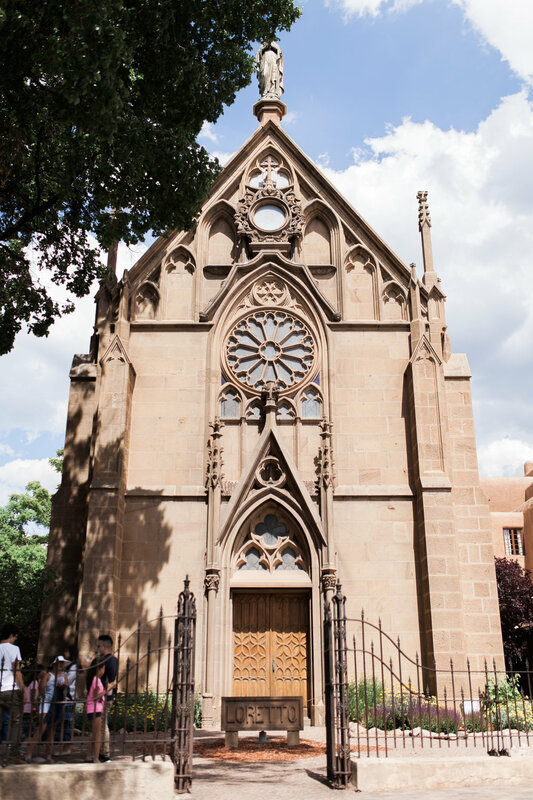 We then made the short walk over to Loretto Chapel, which was probably my favorite of the two churches we visited. Although it is no longer a practicing church, the history behind it is wonderful. 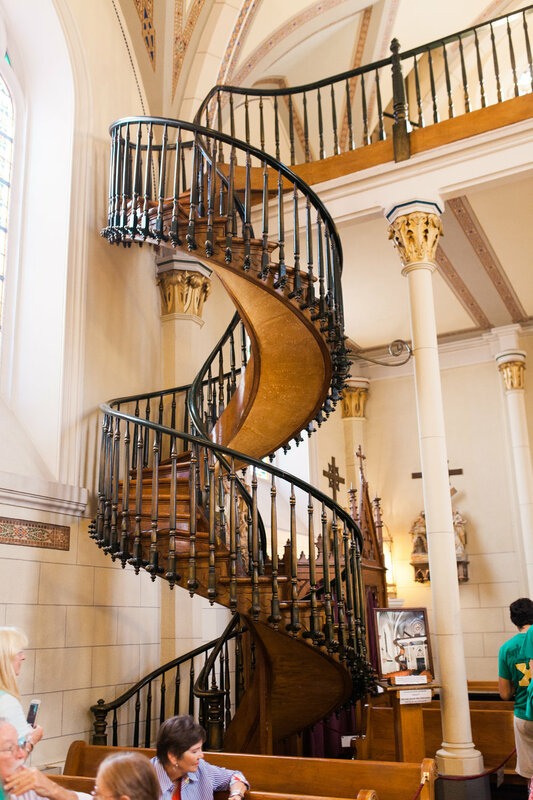 Here's a brief overview of beautiful staircase known as the "Miraculous Stair." Needing a way to get up to the choir loft the nuns prayed for St. Joseph's intercession for nine straight days. On the day after their novena ended a shabby-looking stranger appeared at their door. He told the nuns he would build them a staircase but that he needed total privacy and locked himself in the chapel for three months. He used a small number of primitive tools including a square, a saw and some warm water and constructed a spiral staircase entirely of non-native wood. The identity of the carpenter is not known for as soon as the staircase was finally finished he was gone. Many witnesses, upon seeing the staircase, feel it was constructed by St. Joseph himself, as a miraculous occurrence. The resulting staircase is an impressive work of carpentry. It ascends twenty feet, making two complete revolutions up to the choir loft without the use of nails or apparent center support. It has been surmised that the central spiral of the staircase is narrow enough to serve as a central beam. Nonetheless there was no attachment unto any wall or pole in the original stairway.